“TEXAS!” Just the word makes you think of things bigger and better than anywhere else, right? Well, this year’s National Convention will be right in keeping with that thought. Save the dates and make your plans to attend now! 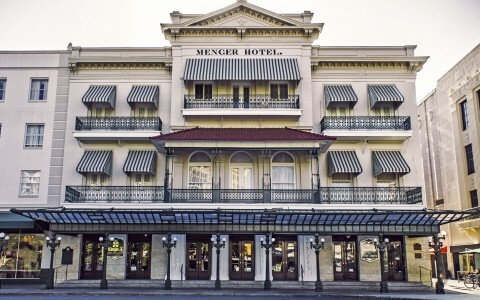 We will gather at the Menger Hotel for a week of fun in the Texas sun. We’ll see what we’ve accomplished over the last year and make our plans for another successful year in the Catholic War Veterans & Auxiliary. Use the links below to see what we’ve got planned so far. As planning is still ongoing, new items will be posted here as they become available. The historic Menger Hotel in the heart of San Antonio is the oldest, continuously operating hotel west of the Mississippi. Located steps from the Alamo and close to the Riverwalk, there will be much to see when the Convention is not in session. Click the picture above to learn about the rich history of the Menger Hotel. Direct Link: Click HERE to go to CWV Reservation page. DEADLINE to register is July 10, 2019. Reservations can also be made by calling 1-800-345-9285 and asking for the Catholic War Veterans Reunion. Parking at the Hotel – $20.00 per day, subject to availability. Transportation from and to Airport – City “Super Shuttle” available outside baggage area – cost is $15 one way or $20 for round trip. Taxis available for $25-$30 – flat rate for 1-3 people. 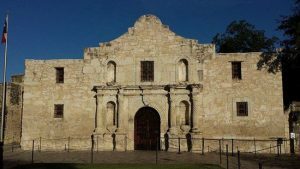 August 15, 2019 – 7PM – A private tour of the Alamo. Price is $30.00 (subject to change).